I've been told by my main Toyota dealer that i need to replace the Parking Brake Actuator on my Avensis. This is going to cost 1500 Euros , but it is working properly only that the warning "check parking brake system" keeps coming on. I insisted that they do a wiring and brake check and they told me that nothing seemed wrong but I have to get it replaced . Have you had the brake pads changed recently? If the pistons are not rewound with the cut outs horizontal to the calipers, the pins protruding from the rear of the brake pads may cause the piston to be angled in the bore. This may cause the caliper to be seized. Or the brake pad could be could be jammed in the caliper. The brakes need to be thoroughly inspected with a strip down. This includes the cables. Then reassembled and greased where needed. Using diagnostic system like Techstream should clear the 'check parking brake' warning. Another cause of the 'check parking brake system' message, could be the EGR on diesels. This usually is accompanied with VSC message. I accidently cause the check parking brake with warning and cautions, whilst using the wrong diagnostic device, after replacing my rear pads. I eventually cleared all the errors using Techstream. If it comes back after all the above, then you have a fault with the EPB unit! No i haven't touched the brake pads .Got the main dealer to check them along with calipers and wiring . Nothing came up. There is only the " check parking brake system " warning coming up and " release parking brake " comes up from time to time even though i can hear the parking brake releasing and the car can roll away with nothing pulling or catching. 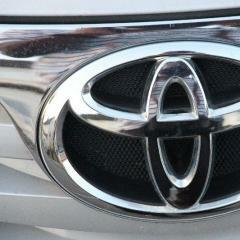 I have e-mailed Toyota Customer Services about same but am still awaiting a reply..!! Where there any fault codes stored ? I don't know is the answer. The main dealer didn't say..They just said that the actuator had to be replaced..